I recently stopped by my local insurance agent’s office to do a license plate renewal and noticed this helpful question and answer form published by the Insurance Corporation of British Columbia (ICBC). The form documented 14 commonly asked questions about towing a recreational trailer over 4,600 kg. What type of vehicle can be operated with a Class 4, 5 or 7 (novice) driver’s licence? A Class 4 driver’s licence includes all vehicles and combinations of vehicles in Class 5, but also includes ambulances, taxis and small buses with a maximum seating capacity of 25 passengers, including the driver. A Class 5 or 7 (novice) driver’s licence allows you to operate a passenger vehicle that has two axles, such as a car or light truck, a limited-speed motorcycle or any motorhome not equipped with air brakes. How much weight can be towed with a Class 4, 5 or 7 (novice) driver’s licence? A Class 4, 5 or 7 (novice) driver’s licence allows you to tow a trailer weighing up to 4,600 kg gross vehicle weight (GVW). GVW refers to the combined weight of the towed vehicle (trailer) and its load. If a trailer weighs 4,000 kg when empty you may tow the trailer with a Class 4, 5 or 7 (novice) driver’s licence. However, once you load the trailer with food, water and/or other items the GVW may exceed 4,600 kg. What about towing a trailer more than 4,600 kg GVW? If you want to tow a trailer weighing more than 4,600 kg GVW and have Class 4 or Class 5 driver’s licence, you’ll need to upgrade your driver’s licence. A Class 7 novice driver’s licence cannot be upgraded to permit towing a trailer weighing more than 4,600 kg GVW. Why does towing a larger trailer require an upgraded driver’s licence? The 4,600 kg GVW limit is consistent with the weight limits in other Canadian jurisdictions and was established as a safety threshold between small and large trailers. Towing a larger trailer is more difficult than a smaller trailer because it requires special handling and braking techniques. Apply for a house trailer endorsement (Code 07). 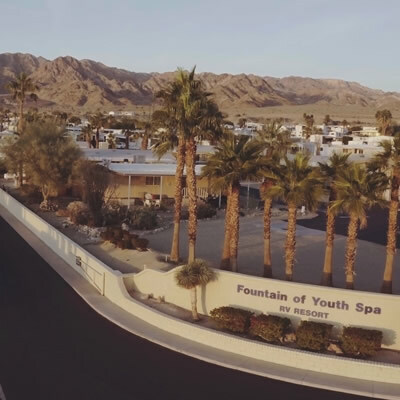 This will allow you to tow recreational house trailers of any weight appropriate for your vehicle provided that neither the trailer nor the tow vehicle has air brakes. Apply for a heavy trailer endorsement (Code 20). This will allow you to tow any kind of trailer of any weight appropriate for your vehicle provided that neither the trailer nor the tow vehicle has air brakes. Qualify for a Class 1, 2 or 3 commercial driver’s licence. What if my trailer or towing vehicle is equipped with air brakes? Will I need an endorsement? Yes. If either the trailer or the towing vehicle has air brakes and the trailer weighs under 4,600 kg GVW, you’ll need to add an air brake endorsement to your Class 4 or 5 driver’s licence. If the trailer weighs over 4,600 kg GVW, and there are air brakes on either the trailer or tow vehicle, you will need to upgrade to a Class 1 driver’s licence. Can an Airbrake endorsement and Heavy trailer endorsement be used together on a Class 5 licence? No. Code 15 and code 20 endorsements cannot be used together to operate a vehicle combination over 4600kg with airbrakes. For this vehicle combination a Class 1 licence is required. I have a Class 2 or 3 driver’s licence. Can I tow a trailer over 4,600 kg GVW? It depends. A Class 2 or 3 driver’s licence permits the driver to tow a trailer weighing over 4,600 kg GVW without any additional trailer endorsement or driver’s licence upgrade. However, if the trailer or tow vehicle is equipped with air brakes and the trailer weighs over 4600 kg GVW, you must upgrade to a Class 1 driver’s licence, even if you have an air brake endorsement on your Class 2 or 3 driver’s licence. How do I apply for a house trailer endorsement, heavy trailer endorsement or a commercial (Class 1, 2 or 3) driver’s licence? Each of these involves passing a driver knowledge test, qualifying to applicable driver medical standards and passing a vehicle pre-trip and road test in an appropriate vehicle combination for the class of licence being applied for. Does a house trailer endorsement permit towing any other type of trailer over 4,600 kg GVW? No. The house trailer endorsement (Code 07) adds permission to only tow house trailers or “toy” haulers. PI270 (052018) The information in this publication is intended to provide general information only and is not intended to provide legal or professional advice. We have used plain language to help you understand the laws related to the topic of this publication. Information in this document is subject to change without notice. You should follow the more detailed wording and requirements of current applicable statutes and regulations and the ICBC Basic Insurance Tariff, even if they contradict the wording and requirements set out in this publication. Other types of trailers over 4,600 kg GVW, such as house/horse trailers (trailers with living quarters for people along with space to carry horses), boat trailers, horse trailers, utility trailers, and so on aren’t permitted to be towed with a house trailer endorsement. For these other trailers, you’ll need a heavy trailer endorsement (Code 20) or a Class 1, 2 or 3 driver’s licence. 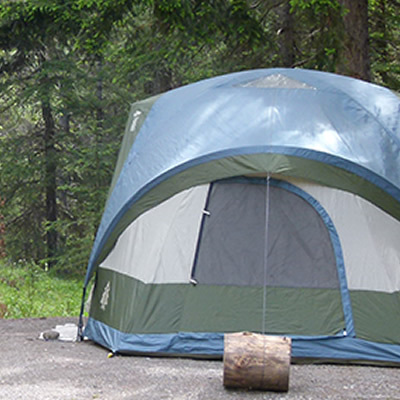 What are the restrictions around recreational “toy” haulers? A “toy” hauler is a towable trailer combining living space with a mobile garage. The garage space can be used to carry motorcycles, ATVs and other “toys,” often with the rear panel opening like a drawbridge to create a loading ramp. 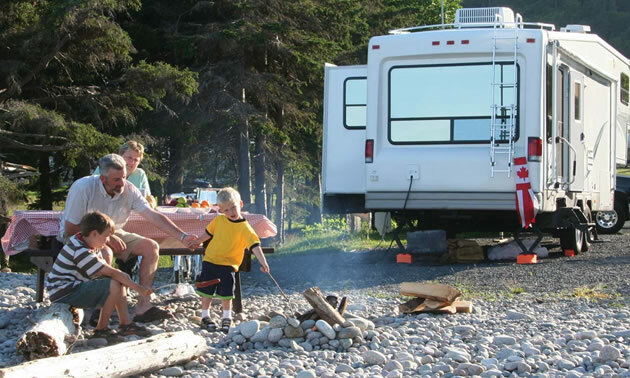 Toy haulers are available in trailer and fifth wheel configurations. You can haul this type of trailer (if more than 4,600 kg GVW) with your Class 4 or 5 driver’s licence, as long as you have a house trailer endorsement (Code 07) and provided neither the trailer nor the towing vehicle have air brakes. Are there costs associated with upgrading a driver’s licence? Yes. Fees vary depending on the type of driver’s licence upgrade required. For a complete fee schedule consult icbc.com or your local driver’s licence office or agent. There’s also a fee for your new photo driver’s licence. In some cases, a government medical processing fee will be required in addition to any fee your doctor may charge for the completion of a medical report. What study materials are available on towing trailers? Two manuals are available— Towing a Recreational Trailer and for heavy trailers and air brakes, Driving Commercial Vehicles. These materials may be downloaded free from icbc.com, or contact your nearest driver licensing office for a free copy. How does towing a trailer affect my insurance? If the weight of the trailer and contents exceeds 4,600 kg GVW and the driver does not have the correct driver’s licence or driver’s licence endorsement, the driver isn’t legally licensed to operate that vehicle combination. Similarly, if the towing vehicle or the trailer has air brakes, and the driver doesn’t have the correct driver’s licence or licence endorsement, they’re not legally licensed to operate that vehicle combination. It’s the responsibility of each individual to ensure they have the appropriate licence for the vehicle they’re driving. Without the appropriate driver’s licence class, drivers could be in breach of their insurance in the event of a crash. For more information, call 1-800-950-1498 or visit icbc.com. Understanding local laws on cannabis use is important when planning your trip. 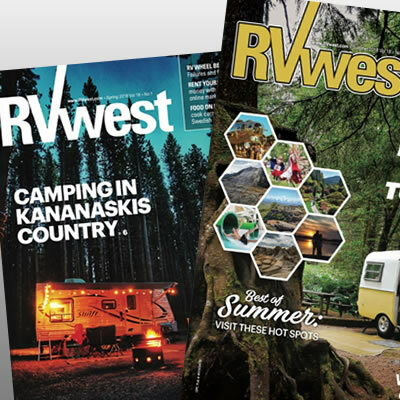 The three-year extension and renewal of the agreement will see RVwest designated as the official magazine of the RVDA of Alberta.